Just a generic thriller on all fronts. It does the bare minimum to be passable. I suppose there's always something better to watch but this is breezy with enough twists to remain relatively interesting. 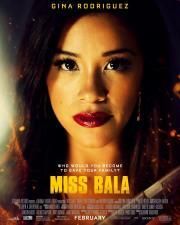 Gina Rodriguez was pretty good. She survives this but the movie really sets her up as more than she is by the end. I wish I had seen the original since it seemed to have more oomph and importance to it.